Home / Unlabelled / Writing as a career…gives way for your innovative thoughts! Writing as a career…gives way for your innovative thoughts! Writers across the countries are gearing up for the most intense activity –writing for their lives. Interested in joining them? Well you are in luck because the writing market is so vast that there are probable opportunities available in your area. Have a look out and you will find variety of genres that you could be writing for! 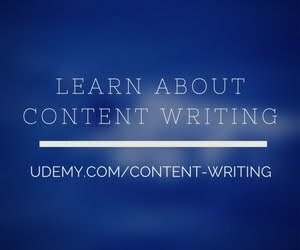 So many writers want to make their living from content writing, is it possible to do? Yes! With the right markets, there are many organization that are giving option today to write for them on projects basis, these companies originated from US and UK, they are popularly called as freelance research writing companies, they provide you with basic details and after researching on the content you provide them with a fresh written article and you get paid for that. Opting writing as a career is easy now-a-days, all you need is a PC and net connection, and you can start your career even sitting at home but you need to have a flair for writing, an enthusiasm and passion for your work. And above all honesty towards your work, writing basically calls for original write ups not the copy of some other persons work. Beside US and UK there are other countries also that welcome foreign writers. You can involve yourself into much kind of write ups such as Content Writing, Article writing, Ghost Writing, Short story Writing, and Blog Writing etc. Question may arise in your mind that how can we make our living through writing? Writing does bring in income for you, different organization of different countries have different mode of payment some pay on per article and some on per page and it varies from 3$to 50$, it only takes 4-5 hours in a day and you stand with an outstanding career. As a personal example it took 5-6 months for me to gear up completely to into a full time writer, but if you have skill/talent of writing the struggle you do does not matter much all that matters is the outcome and your heading to a way of light and inspiration.